Britain is expelling 23 Russian diplomats in response to the nerve agent attack on ex-spy Sergei Skripal in Salisbury. And the UK has cut off all high-level contacts with Russia, including a boycott of this summer’s World Cup by Government ministers and members of the Royal Family. Prime Minister Theresa May told MPs the individuals being kicked out in the biggest expulsion of its kind for more than 30 years had all been identified as undeclared spies. They have been given a week to leave. 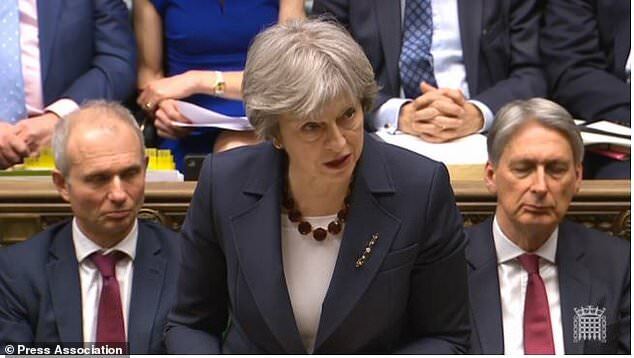 Mrs May said Russia had failed to provide a “credible” explanation for how the Novichok nerve agent which it had developed came to be used in the attack on Mr Skripal and his daughter Yulia on March 4. She said: “There is no alternative conclusion other than that the Russian state was culpable for the attempted murder of Mr Skripal and his daughter – and for threatening the lives of other British citizens in Salisbury, including Detective Sergeant Nick Bailey. The Russian embassy in London responded to the expulsions by saying they were “unacceptable, unjustified and shortsighted”. Mrs May said that at a meeting with military and intelligence chiefs and senior ministers at the National Security Council, it was agreed to take immediate actions to dismantle Russia’s spy network in the UK. Mrs May told MPs the Government will also target the finances of those responsible for human rights violations, tabling a “Magnitsky law” amendment to legislation currently going through Parliament strengthening powers to impose sanctions on individuals. Britain will “freeze Russian State assets wherever we have the evidence that they may be used to threaten the life or property of UK nationals or residents”. The Government will take on powers to halt those suspected of hostile state activity at the border, and Home Secretary Amber Rudd will consider whether new counter-espionage powers are required. Checks on private flights and freight traffic will be stepped up to detect and track those who could endanger the security of the UK. The PM welcomed support from allies including the US, Nato and the EU, and said Britain would be pushing for a “robust international response” at the UN Security Council later on Wednesday. “This was not just an act of attempted murder in Salisbury – nor just an act against UK,” she said.